Nathaniel Nate "DJ Tough Love" Scott, Jr.
Nathaniel Bernard Scott, Jr. was born on November 14, 1990, in Beaufort, SC. He was called to Heaven Sunday, November 25, 2018. He was an awesome Son, Brother, Uncle, Nephew, Solider and Friend, and always kept a positive attitude about life. Nate attended school in Beaufort County, SC and Richland County, SC. While attending Blythewood High in Richland County he was an active member of the Blythewood Bengals football team. As a youth, he spent time with his Dad Nate, Sr, his uncles Devon Scott and Jervarr Oree playing around in the studio where his love for the mixing and crafting of music began. As a young man moving into his next phase of life he enlisted into the United States Army. He took his childhood experience with him mainly by showing how he supports anyone down with him. During his four years of service, he received the Purple Heart (one of the most honorable achievements earned for his Country), defending and protecting his team. DJ Tough Love as he was famously known began his career at the age of 19 years of age. 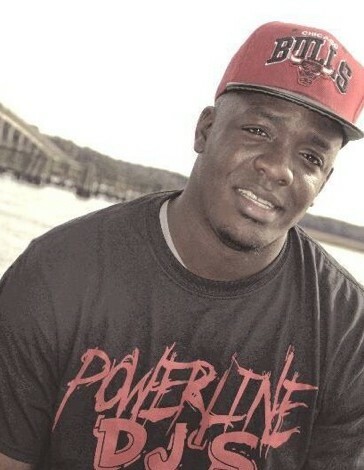 started off just producing music and sampling other tracks which took his love and his interest in music to another level which lead to his own series of mix-tapes titled “DJ Toughlove Presents Rydin I-95”, and “Voice of the South”, and a shared brotherhood within the Powerline DJ’s. ToughLove work history consisted vastly of local and national broadcast media including the Peoples Station 107 Jamz, WVAI 101.3 JAMZ, WYNN 106.3 and Z93 Jamz. Nate, Jr. leaves to cherish his memories, his devoted father and mother, loving sisters, brothers and host nieces, nephews, aunts, uncles, other relatives, and friends. Nate, Jr. (DJ Toughlove) proved over and over how he would go far and beyond to support his family and friends.